Some people only discover the world of stock photos when they first find themselves needing images for a project. A new website for their company, imagery to revamp social media channels, marketing campaigns, and so on. And while many can immediately recognize the value in this resource for creative design and commercial projects, they are often unsure about how stock photos work and how can they be used. Is it your case? Then you're on the right place! At StockPhotoSecrets we've put together a super simple yet in-depth guide with all you need to know about stock photos, from what they are to how you can benefit from them, to where to get them. Dive in! Stock photos are photographs that are already taken, edited and ready to be used. But are stock images free to use? Big and resounding NO. The photographer or author of a stock photo makes it available for licensing, meaning you can pay a fee to get the right to use it in your designs legally. One of the most popular license types is that of Royalty Free, which gives a wide range of usage rights for a very low cost. 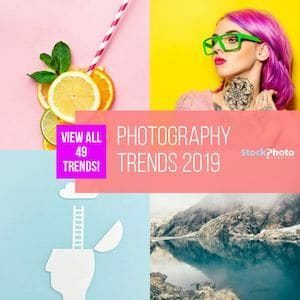 Commonly, authors submit their photos to stock photo agencies, companies that offer big digital catalogs full of images that you can pay for online and download directly from their websites. You buy from the agency, and they split the revenue with the photographer. Stock images are not limited to photographs, you can find illustrations and vector files, plus video clips, sound tracks, and more. What are Royalty Free Stock Photos? You probably guessed this one. They are photos under a Royalty Free license. This license is one of the most popular in the stock photography industry, because of its flexibility and low cost. Royalty Free license is customized for every agency, but in general terms it gives you the right to use an image in commercial, editorial and personal projects, without any limitations regarding geographic area or duration. Plus, it's a one-time only fee (This is what its name means, which should NEVER be mistaken for them being free photos: Royalty Free photos are NOT FREE). This means that you pay for the image once, and you get to use it however you want, wherever you want, and for as long as you want. 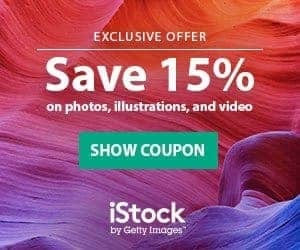 Best is that as the images can be licensed over and over, the license price tends to be very low, within $1 to $15 in average, and even less than $1 each with subscription plans. It's important to note that what you are buying when you buy stock photos is a license that gives you the right to use them in your work. You are not acquiring ownership of the image, the author still holds the copyright for it. Where Can I Buy Stock Photos? The best place to buy stock photos are stock photo agencies, online. The most popular ones have digital libraries with millions of images to choose from, all high quality and ready to be downloaded in a few simple clicks. Most these catalogs are searchable by keywords and include advanced filters for narrowing results, so you not only have variety in content, but also easy access to it. Best of all is these companies have very affordable prices, and options to buy images one by one, or in bulk and saving in the long run. Check our list of the Top Stock Photo Agencies in the market! And to save more money in your purchases, don't miss our exclusive coupon codes for special discounts! How Can I Use Stock Photos? As long as they are labeled for commercial use, you can use stock photos in multiple designs and project with a for-profit purpose, including websites, marketing and advertising, branding, and more. You can also use them in editorial work, such as publications and book illustrations for example. If the photos are labeled as Editorial, you can only use them for this end (never commercially). Learn more about Editorial use here. Plus, with an Extended license (available at most agencies too) you can also use the images in products for resale, earning you potential incomes. The limitations in usage of stock photos mostly refers to illegal or morally questionable topics. You cannot use images in content that refers to illegal activity or sensitive matters, like racism or violence. And of course you cannot resell or redistribute the photos as they are, to anyone. Remember, you are not the owner of the photos, you only own a license to use them. What's In for Me in Using Stock Photos? What is not in for you, should be the question! By using stock photos you can solve a lot of your graphic design needs at once, in a very efficient and low cost solution. For one, you can get the imagery that you need right away, without having to wait for a photographer to shoot them, edit them and hand them to you. They are online and ready to be downloaded and used. Secondly, they also save you a lot of money. The cost of hiring a professional photographer to do a custom shoot for you is way, way higher than the $15 or so that you would spend in buying a stock photo. Let alone that if you get a subscription or you buy a bunch of them at once, you can get them for as low as a few cents each. Using stock photos you can have professional looking designs for your adverts, your website, your presentations and many other projects, without breaking the bank and without taking any legal risks. It's a super useful resource for small to medium businesses, startups, beginner professionals and any other person needing professional, high quality photography right away and at affordable rates. What are you going to use stock photos for? Let us know in comments!